This page is for us to celebrate the pets that we have had the pleasure of sharing our lives with. Many of these pets have made the best teachers for us as professionals and we are thankful that we were able to spend time with them giving them a great life full of exercise, stimulation and love. Alfie was my first ever Great Dane and after a love for the breed since I used to see two on the way to school each day I had always said that one day I would share my life with a Dane. Alfie came from a litter in Bristol and fro the day we met we knew we would fit perfectly together. The first day I saw the litter Alfie was the smallest but made up for that with his big personality, Alfie grabbed hold of my bag and ran off with it around the breeder’s garden. From that moment I knew he had to be a part of my life. Alfie settled in well and although there were trials and tribulations we embraced life together, without Alfie the forming of the company may never have happened as it was when he was 6 months old and I made the decision to work and look after dogs starting Heathers Pet Care. Alfie shared his life, me and his home with many fosters and boarders over the years and unfortunately left us at 9.5 years old. He had been suffering with Heart failure for a few months and collapsed on a walk one day. Part of me left when Alfie left us but he still lives on in my heart every day. My van is named Alfie and his photo remains at the front of my van so that he is always with me and the other doggies! Molly came to me for the first time for boarding and her owner explained that she doesn’t always like people and other dogs, molly although 9 years on her first stay was totally full of beans and loved life. Molly spent many holidays at our home in Bathampton and it was a pleasure to be a part of her life. Millie came to us when I was 11 years old our first family puppy and we spent the next 15 years growing up together, Millie was without a doubt a one in a million dog, we spent hours together on walks whilst I was still in school. Millie was my sidekick and I even remember painting her toe nails pink to which she sat patiently and allowed me to do! Millie had a great long life and will never be forgotten in my heart! Saphie was my first ever Great Dane fosters for Dane line; she spent around 3 months living in my home with Alfie and many boarders and day care users. Saphie was a very soft and gentle girl that really wanted nothing more than a cuddle on the sofa, Saphie certainly didn’t put me off fostering and I went on to foster a further 37 great Danes up until I had the children. Missing you Saphie thank you for teaching me that I can pare a space on the sofa for many rescues that need it. Gadget and Gusto started to use our walking service in the early days of the company and they really enjoyed their time with us getting up to mischief. These boys were my favourite teachers, they taught me and prepped my for just about every eventuality that may happen when working as a dog walker. Gadget and Gusto are sorely missed and they will never be forgotten for their huge personalities. Louise was Alfie’s best friend, I remember driving my first van down the street and seeing Louis and his owner walking along, of course I stopped my car to go say hi to the Great Dane that I had become so fond of. We bumped into Louis and owner at Vassals Park one day and Alfie and Louis immediately hit it off and never looked back. Louis used to spend holidays at our home and Alfie and Louis became best friends. Louis was an ambassador of the Dane breed such a gentle giant that will always be remembered! Alice was a foster that came to me due to deafness. I picked her up at 8 weeks of age and she lives with me as part of the family. I had never trained a deaf dog before so it was a great challenge for me to be able to teach a dog with sign language. Unfortunately Alice was diagnosed with vestibular syndrome and after raising funds to get Alice a much needed MRI (thank you to everyone that helped with the Alice appeal) Alice was diagnosed with a degenerative brain condition that was incurable. Alice stayed with us until she was 8 months old but due to the nature of her condition we had no option but to let her go. Alice was a pleasure to teach I still miss her all the time and am happy to have been able to help her for the short life she had. What to look for when choosing a dog walker, home boarder or day care! As I have been in the industry for over a decade now I thought that information was needed to warn pet owners of what to look for in a pet professional. Having had practical experience in the industry and a behaviour and welfare degree I have a vast amount of experience and knowledge surrounding dog walkers and pet sitters. One of the first things you need to know is the law! Under the animal welfare act and control of dogs order the owner or keeper is responsible for the dog, this means that as a professional walker any actions of the dog in your care are your responsibility. 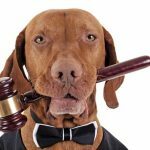 It is your legal responsibility to ensure that each dog is under control at all times as you may be held criminally liable if not. • Animal activities licence 2018- This applies to all dog day cares and home boarders (all licensed are inspected by the local authority and now given a star rating). Your care provider should know understand and abide by the above laws at all times. Check that your provider has a licence; you can obtain the information directly from the provider or by speaking to your local council that deals with licencing. Without a licence the providers insurance is invalid. There are more that are relevant, these standards are good for codes of practice for each company and will certainly give you information of what your provider needs to be doing to maintain a certain standard. All of the above will form a nice question base for your chosen professional; you should arrange to meet with them prior to any bookings and at this time you can ask for relevant documentation and information. Every dog is an individual and therefore you need to make sure that your provider is catering for these individual needs things like Condition / health / age / weight/ behavioural issue and personalities all need to be considered by your professional and if these things are not ask yourself why? • Muzzles and protective equipment should be used where needed walkers should have access these at all times just in case. Dog walking professionally is not an easy job; it can be very demanding trying to get it right and no one is perfect though walkers and sitters should attend regular CPD to improve their practice. Ask your provider what qualifications and experience they have had and what CPD training each walker gets per year. • Adequate ventilation (specify what this means as some people may think leaving a window open on a hot summers day is sufficient recommendations for electric cooling fans, cooling mats, showers to hose dogs down before and after walks and cooling coats work really well). • Water should be carried by the dog walker at all times and a travel foldable bowl is recommended. • Commercial vehicle insurance if someone is driving a van with sign writing on it they must carry commercial vehicle insurance which states they are covered for carriage of dogs. Standard business insurance generally does not cover for companies with signed up commercial vehicles. • Suitable caging or containment to ensure comfortable and safe transport, by this I mean separate cages or crates for each dog with a comfy bedding so that each dog can feel relaxed and comfortable during transportation. • Leads and chains should be avoided to restrain during transit as this can cause injury and is not sufficiently safe. • Dogs should not be left for lengthy period unattended in vehicles, for example no dogs should be left in a vehicle whilst another walk is being carried out. Some walkers collect a large amount of dogs and then arrive at a location and split the numbers into two groups leaving one group in a van behind. • All vehicles should be cleaned using animal safe disinfectant to prevent any disease spread and allergic reactions. • Your provider should select walking locations that are away from main roads, safe for unloading and they should keep the dogs on a lead in any car parks. • Stimulation should be provided during walks and visits with brain games and scent work tasks. • Your provider should use longlines to allow freedom for dogs that cannot go off lead; these should be used with a shock absorber to prevent injuries to both dog and walker. • Each group should be matched by your walker with age, behaviour, personality and fitness at the forefront. • Your walker should know and understand signs of disease and in case of an outbreak be able to separate if needed. • All dogs should be vaccinated wormed and de-flea (conventional or natural) unless they have certified exempt certificate and your provider should check this during a meet and greet. • Ask what the maximum number of dogs that your provider walks at one time. • Check that your provider carries sufficient amounts of poo bags treats and leads for each of the dogs walked. The best way for you to see just how a provder cares for the dogs in their care is to watch them as they carry out their duties at walking locations. You could ask if you could join them for an introduction walk prior to the first walk too, most people would enjoy the company and be able to answer any questions during this time. Does your provider have trackers and/or cameras in vans and on the provider’s body? Does your provider carry a Mobile phone at all times? Does your provider carry emergency contact details for owners at all times? Does your provider carry a First aid kit? What are the procedures in emergency situations?